Tut’s Twister Video Slot is a fantastic achievement builder game! Indeed, this slot will not only transport you at the heart of an Egyptian tomb, but it also offers players many challenges thanks to the symbol collection feature above the reels. What’s more is that this slot not only gives you Sticky Stacked Wilds, Walking Wilds, extra Wilds and Re-Spins. But it also offers players an increasing multiplier with consecutive wins! Which means this slot indeed has the potential to make you win big. And to know more about it simply read the review below. As seen above this slot has many bonus features. And in all honesty, it would be difficult to describe them all in such a short review. So below you’ll find guidelines on how to play this game. And as always we’ll invite you to check the paytable to know more about all this slot has to offer. By and large, the hieroglyphics feature is the most interesting one in this game. Indeed, when you first launch the slot look just above the reels where you’ll see 19 symbols or 5 series of symbols to collect. To collect a symbol, it’s easy! You only need one Wild to transform. After completing a series, you’ll trigger the Twister feature on the reels associated with it. The Twister feature very much makes up for the fact that this slot doesn’t offer Free Spins. In fact, you’ll trigger the twister frequently and with the help of 2 Wild symbols. So, after landing the required symbols, you’ll see Tut’s spin around and transform into a Sticky Stacked Wilds, and a Re-Spin is triggered. Any additional Wilds that lands on the reels will not only move from left to right but will also increase your multiplier and the amount of Re-Spins you’ll play. On your last Re-Spin, you’ll receive extra Wilds and potentially a huge payout too! 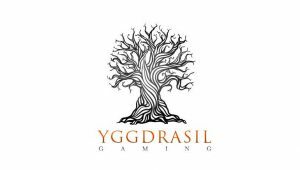 Once again, Yggdrasil proved they know how to create excellent games! Indeed, this slot is not only stunning in terms of graphics, but it offers an RTP above average. Not to mention that players who’ll dare to venture into the tomb will have the chance to get their hands on 125,000 coins. Granted that the paytable is not the highest, but since you’ll trigger multiple Sticky Stacked Wilds and Re-Spins, you’ll still have a long casino session and have lots of fun!